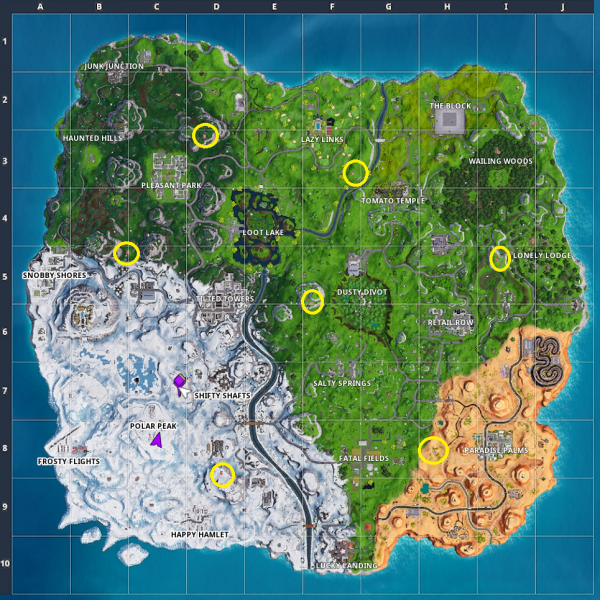 As part of the Week 7 challenges, you’ll need to make your way around the various Expedition Outposts to get your Battle Stars. You’re looking for a red Exploration Outpost that has an X-4 Stormwing close by. Head in the blue doors and see what loot you find inside. They’re easy enough to find, just make sure you have a weapon equipped or Rift-to-Go handy as there will be a lot of opponents nearby. If you’re looking to complete the free challenge where you need to destroy airborne X-4 Stormwings, then head to these locations as their your best chance of finding one in the air. East of Snobby Shores, between the two hills. The post Fortnite: visit the Expedition Outposts appeared first on VG247.